You know what’s beautiful? A crisp, concise bold message on a hat, the accessory that pulls your entire look together. There’s no denying that a classic, sleek hat brings an entirely new level of badassery to a look, and certainly will add character to your ecommerce store product range. 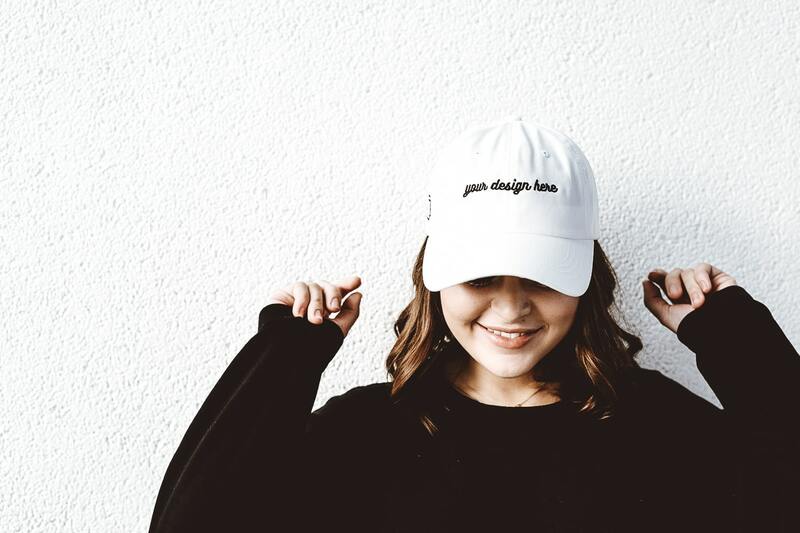 We’ll go through the entire process of creating your own custom-embroidered hat from beginning to end – from choosing a hat type and making embroidery-friendly designs to creating an embroidery file and, perhaps, even ordering a sample hat for yourself. What’s more, there are some free downloadable embroidery graphics at the end to get you started. You probably know that not everyone can pull off wearing a top hat. And, honestly, there’s no need – there are plenty of hat options for you to choose from. 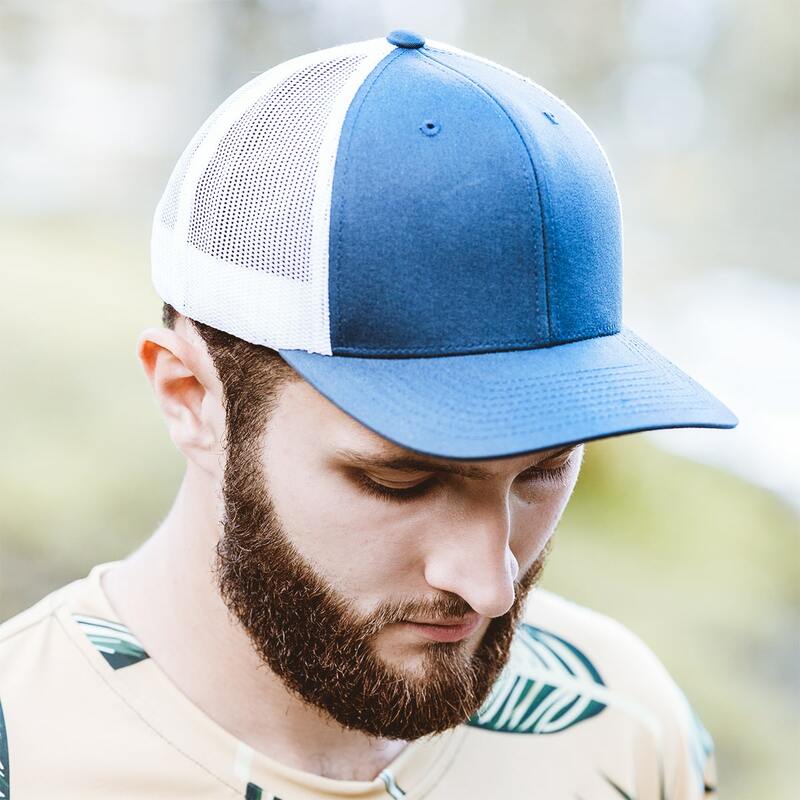 Let’s take a look at some of the most popular ones, and the reasons why it might be the right hat for you and your store. So, what exactly is a snapback? Well, the main thing you should know is that it’s one of the most popular hat types out there, so it’s well worth considering for your store or wardrobe. Snapbacks are five or six panel hats with a wide, flat brim and an adjustable snap on the back (hence the name). Their ancestor is the baseball cap, but nowadays snapbacks have evolved into a symbol of urban culture and youth style. And your designs should definitely take this association into account. What’s more, snapbacks usually have a high profile (more on that a bit later), which usually allows a higher design. If youth culture is not your target audience, there’s a less in-your-eyes version – the dad hat. These caps usually have a rounded brim, and a lower profile for your designs. 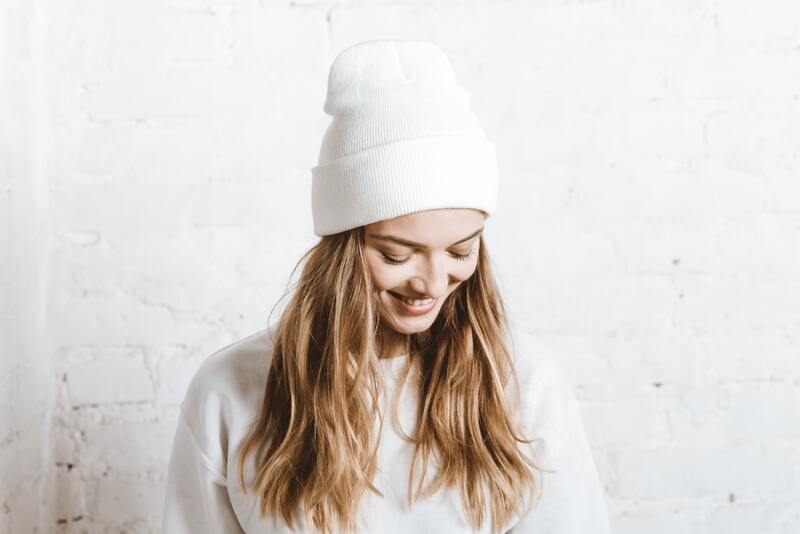 This is a hat that’s a favorite with different types of people, and it’s definitely one of the biggest bestsellers here at Printful. So there’s no intrinsic target audience. Just pick the designs you like and get started. Trucker hats usually have a mesh paneling and a high dome area, as well as a flat brim. This cap actually has a fascinating history, since in the beginning they were mostly used as promotional hats given away for free at various events. But since the early 2000s the cap has entered mainstream fashion circles. So while the correlation with a freebie has been broken, companies still tend to use trucker caps to promote their businesses. And that’s always a great opportunity for bulk orders! When the world got a little tired of the seemingly million types of baseball cap variations, they turned to… the fishermen community! Yup, that’s right. The bucket hat started as an accessory to fisherman, but now has taken the world by storm and is worn by celebrities and models all over the world. 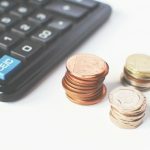 What’s more, the trend is predicted to continue to rise in 2019 as well. So if your customers like to mix it up a little, this is the go-to hat to put your custom embroidered designs on. For those of us living in the colder climates, comfort sometime has to take precedence over style. But why not have both? After all, that’s what beanies are for. Beanies are warm, comfy, and you can really play with your designs throughout the year, since they make the perfect Christmas gift. Besides, you can always engage with your customers by starting the great “pom pom or no pom pom” debate. Another sporting community favorite – the visor. Most often associated with tennis and other outdoor activities, this crownless hat is best known for its functionality, since it protects the face from the sun. That’s why design-wise it makes sense to stick with sports-themed graphics which would appeal to outdoor activity enthusiasts. Still not sure which hat to choose? In the end it all boils down to your own preferences, your brand image, and, perhaps most importantly, that type of hat that best suits your designs and target audience. Or rather, how to design a super cool custom-embroidered hat. Many store owners make the same mistake, over and over again. They take one of their designs (that maybe worked really well on t-shirts), and they try to put it on hats. But depending on the design, it can be a big mistake. Embroidery is an entirely different beast compared to direct-to-garment printing. For that reason, it requires an entirely different approach to creating a successful design. Here are some key elements to keep in consideration when designing your custom hat embroidery designs. As always, keep in mind that your designs have to follow our Acceptable Content Guidelines. A minimalistic design can have a striking impact. Simple designs are easy to embroider and have a finished look with nice, tight lines. For example, a basic design with minimal details can look striking with a white thread against a black cap. It’s best to avoid small, detailed designs, as those are difficult to embroider. For flat embroidery, the minimum thickness for shapes is 0.05″ and the max is 0.5″. For 3D puff, the minimum thickness is 0.2″ and the maximum is 0.5″. There should also be a space of at least 0.5″ between multiple 3D objects. Our mockup generator actually has a text tool that allows you to create text-based designs for flat embroidery straight in the generator. You can choose from more than 25 fonts, and the generator will warn you if the lines in your design become too small. The main take-away? Use minimalist, bold designs with thick lines. When developing embroidery designs, you should note that the number of thread colors you use will impact the look of the hat. If you choose to use multiple colors, make sure they have large enough details to be able to sew well. Like these letters and forms in this hat. Keep in mind that there’s a limit to how many thread colors you can use. We offer 15 different colors, but you’re limited to 2 colors for 3D puff, 4 for flat embroidery, and 6 for a mix of partial and 3D puff. You can choose to print your design using flat embroidery, 3D puff embroidery, or a mix of both (image courtesy of Rhinodillo Designs). 3D puff embroidery is when you see the raised embroidery threads. In the image above, it’s the white embroidery. It costs an extra $1.50 if you decide on this option. Flat embroidery is when the thread lays flat on the hat. In the image above, it’s the red thread. Partial 3D puff, however, is when a combination of both flat and 3D puff are used in one hat. A good hat design has a good balance. One rule of thumb is to have your design focused on the middle bottom, and have it span out from there. Centering your design is a must, as most people don’t want to seem lopsided when wearing their hats. 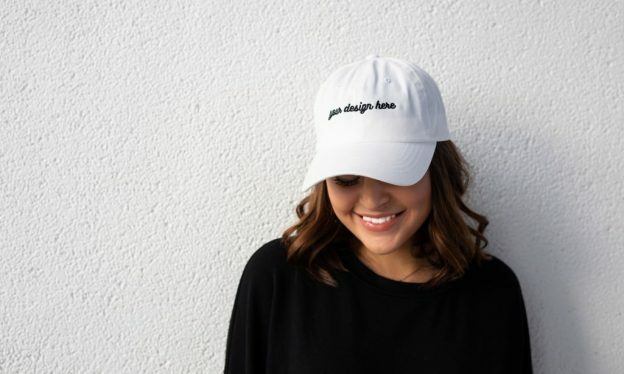 For a really polished look, you can add a small logo of yours on the side of the cap. Ideally, you would add either a logo, your company initials, or something else that’s small and can fit in the side space. You can only use flat embroidery for sides – no 3D puff. Embroidery sewing machines “read” designs entirely differently than printing machines. For that reason, creating an embroidery file is an entirely different system. Before the embroidery process can begin, we need to convert your file into a format that our embroidery machines can read. This process is called digitization. Submit your design to Printful as a vector file (preferably in AI, PDF, or EPS formats, though high resolution PNG also works), and we’ll digitize it for a one-time fee of $6.50. But note that each style of embroidery requires a separate digitized file. So if you submit one design for 3D puff and later want the same design for flat embroidery, you’ll have to digitize that too. The size of your design will be based on the available embroidery area of the hat you choose. Some hats have a higher profile and therefore can print a higher design. Whereas there are low profile hats, like the 5-panel hats, which have a lower available height. Don’t forget to take a look at all of our hats. The price you see includes the embroidery, just remember that 3D puff and side logos cost a little extra! How do you create your embroidery file? Use our mockup generator! 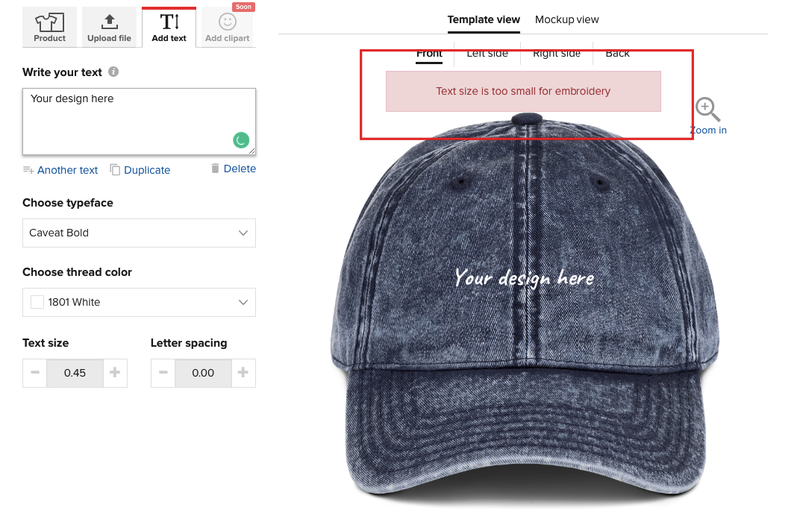 Printful has developed the first-ever mockup and embroidery file generator, which will make your life a whole lot easier if you’re into hats. And as we mentioned before, it has a unique text tool that allows you to create text-based flat embroidery designs without leaving the generator. And finally, we suggest watching our embroidery design tutorial video below and checking out embroidery guidelines. Before you place an order with Printful you’ll have to create an account first. You can make an individual order, or start your store and then make an order. Go to your Printful Dashboard and click “New order” in the top right corner. Choose “sample order”. 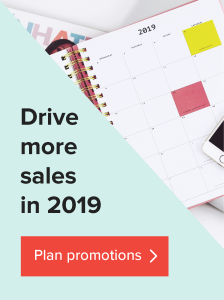 Those will get you 20% off and free shipping to select destinations. Choose your product. In this case, it will be hats. 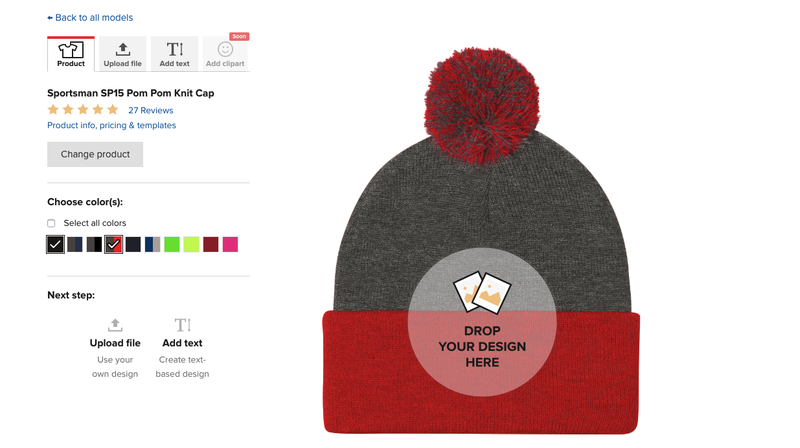 Upload the design you’ve created, or create one in our text tool. You can also use a design from our sample graphics library. Drag it around, size it, and position it the way you like. Pay attention to the DPI – make sure it shows as “good”! Select if you want it to be all flat embroidery, 3D puff embroidery, or partial 3D puff. Click “continue” to confirm the order, check the shipping address, and submit the order. If you haven’t used one of our sample graphics which are already pre-digitized, your order will have a $6.50 digitization fee. The digitized file will then appear in your library, and you’ll be able to make future orders with no repeated digitization costs. 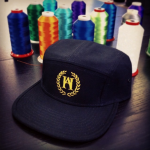 Now that you’ve made your order, all that’s left to do is to wait for your custom embroidery hat to arrive in the mail. Once you’ve checked the quality, we’re sure you’ll have no qualms about putting it up for sale on your own online store. 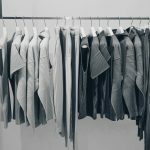 Read more about starting your own online garment store here. Have you tried out embroidery? What do you think? Anything we left out? This article was originally published in July 2016; it has since been updated. Subscribe to our blog and get free embroidery graphics! Nice information. I like the logo patch on my cap. Your guideline is very useful for me. I am appreciate this post. Thanks! Loved the Custom Embroidered Hats of this blog. Thanks for sharing informative post. Thanks for stunning hat designs. 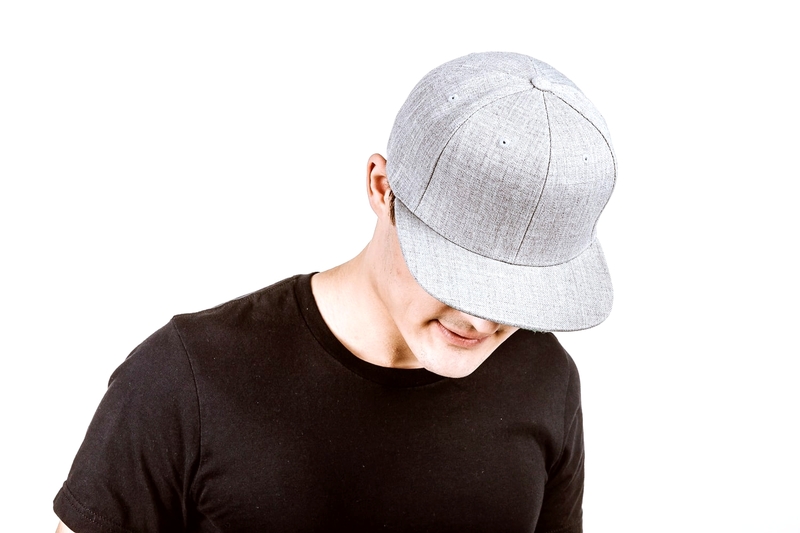 Embossing 3d embroidery makes hats very attractive, especially the hat with 3d puff and side logo. You spice-up a simple hat in elegant style. Good one! Thank you for sharing such an amazing post I found it very interesting. Thanks for all of the great information! Will we be see any additions to the amount of thread colors soon? My style typically uses pastel colors, and my customers are requesting I add pastel options for my hats. Thanks! Hi! For the time being, we’re not planning on adding new colors. Do you guys think you will ever do Screen Printed hats in the future? Hi John, it’s not on our roadmap at the moment.